Need a little color in your Wednesday? You’ve come to the right place! 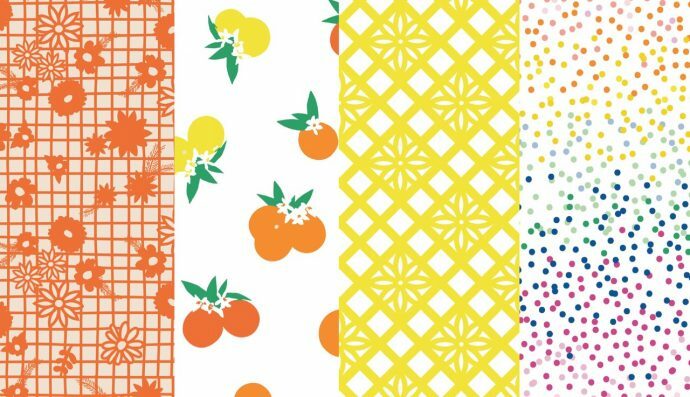 I’ve been talking about my new fabric collection–FIESTA FUN–for a few months, but here is a big old official blog post with all the details! I like big old official things. Fiesta Fun is my second fabric collection with Art Gallery Fabrics. 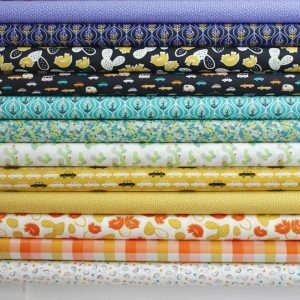 And we’ve created an Info + Gallery Page HERE, with fabric swatches, where to buy fabric, and tons of project inspiration and links. Also, if you look up at the top of this page, the menu has a new update. Now if you click on My Fabrics, you’ll see options to go to each collection’s gallery page. Yay! 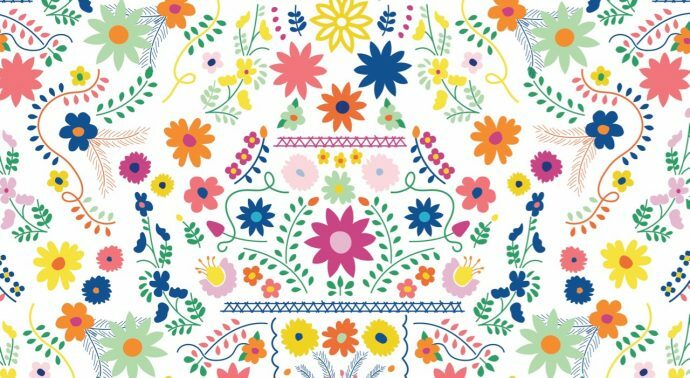 Growing up in Southern California, I always loved the Mexican culture—the bright colors, the food, the floral designs, the people. And now that we live in Texas, I get to enjoy the blended beauty of Mexican culture in this state as well. What I’m attracted to specifically with Mexican design is the use of color. They have a wonderful way of mixing bold tones with pastels (and every shade in between) and making it work! With this collection you get many of those combinations—cobalt blue next to mint green. Or tangerine contrasted with peach. It’s a rainbow of fun. • Citrus Sunrise – This print was inspired by the three giant grapefruit trees my grandma had in her Arizona backyard when I was growing up. Every summer, after spending a month swimming in her pool, and jumping on her trampoline, and making lame music videos with her record player… she’d send us back home across the desert with a box of citrus in our family van. I’m pretty sure my mom was the only one who ate them. But I always loved that smell!…and the color. 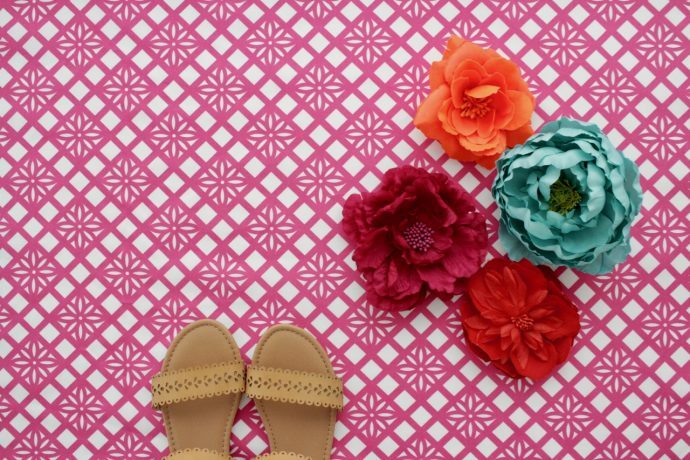 • Papel Picado + Zocalo – these two prints remind me of a festive party set-up in a town square, or a fiesta in your backyard. The design is inspired by the amazing creation of papel picado folk art—which in Spanish means “Paper” and “Punched”. So these banners are made of cut-out patterns and intricate designs. There are four different Papel Picado colors, which is awesome because you can use them to make your own simple garland! 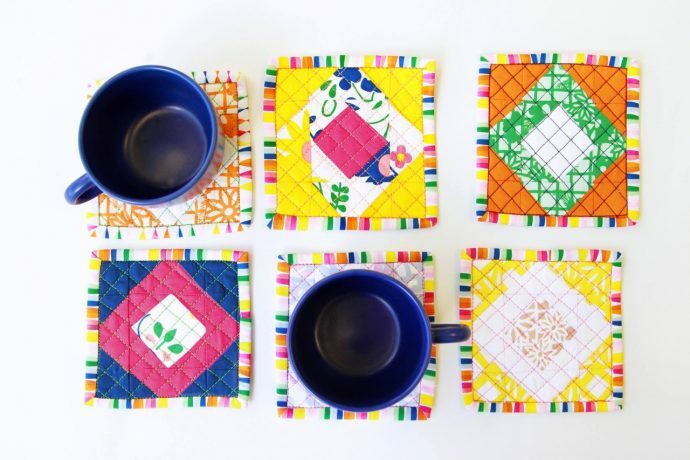 Just cut out little rectangles and sew them together in a strand with bias tape. Done! • Piñata Confetti + Happy Streamers – you know I love simple shapes, and color, and I love a party!….so confetti and streamers only seemed natural. This print is fun on its own, and amazing as a binding (see first photo). And of course there’s so much more to share and sew with this collection–since there are 16 fabrics total. If you’re new to purchasing designer fabrics, I have a list of shop links here. And to get your creative wheels spinning, just click around on the Gallery page. 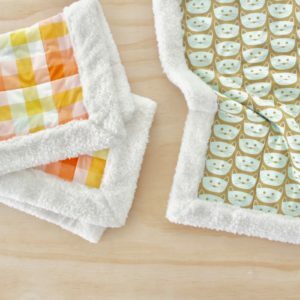 There are so many free tutorials and patterns with many of those photos. When you’re done, check out the Boardwalk Delight Gallery we created as well! And one day I’ll get around to sharing about Fall Quilt Market, where I saw my fabrics in person for the first time. But that’s a whole separate post. P.S. 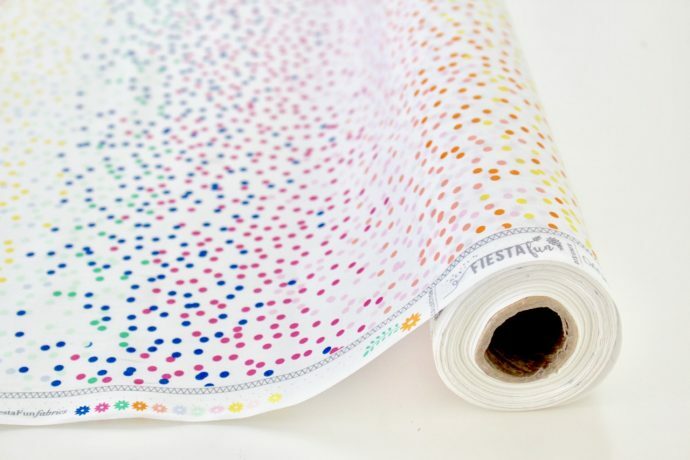 Want a chance to win some Fiesta Fun fabric?? Make sure you’re subscribed to the newsletter! So much fun. Love it. Congratulations! 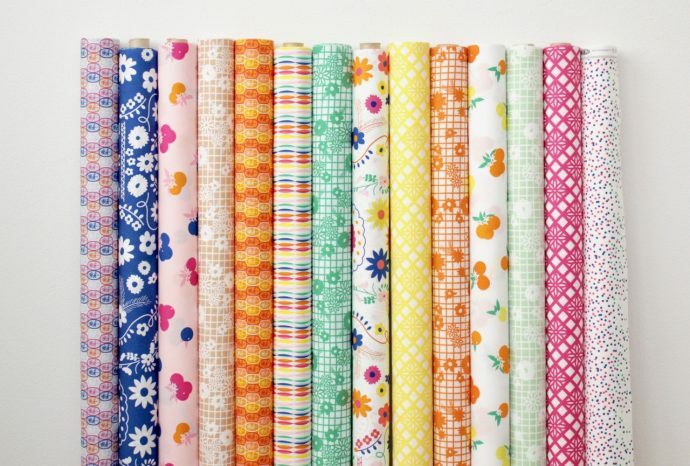 After a winter of cold and snow, these fabrics are like a breath of fresh air! They are so cheerful; love the pinata and streamers so much!!! Thanks for a great giveaway. I feel so happy when I see these fabrics! They are so yummy! The fabrics are happy the same as you are. Love the bright colours. All the pieces are so cheerful and give hope for the summer to come. 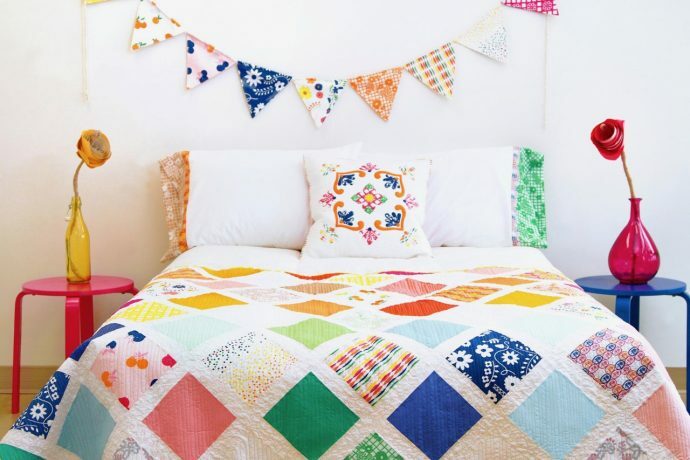 Love the bright colors in the fabric. I can see my Great Granddaughters in dresses or tops for several of the prints and of course a quilt or two. Thank you for the give away. How pretty! Would love to make something bright for my girls. Just in time for summer! Love the fabrics. They are so happy! I checked out the Art Gallery Lookbook. There are so many fun things to make! Thanks for the opportunity. An amazing fun collection, I just wish we could buy the fabric here, then my granddaughters would get some sundresses made for them. However I will have to be selfish and use the fabric to make some bright and cheery tops for me. These colourful fabrics are just ideal all year round for our sunny climate in the land down under. What a fun collection. I love the confetti. 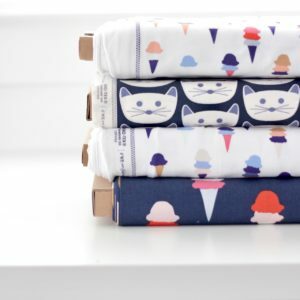 Congrats on another super fun fabric line. They are absolutely beautiful ! I will make a skirt for me. And sun dress for one year old granddaughter. What joyful patterns- thank you Dana! I just love this collection!! Makes me hunger for summer! Wow what colour always a delight to see u and ur fabulous posts,not sure if I can get this fabric here but already pictured my girl in sweet fun fiesty fabric perfect for summer.good luck. Congrats, Dana for your new fabric line. They are all beautiful and I would love to have any of them. Love, love, love it! So happy , so full of life! Dresses for granddaughters for sure!